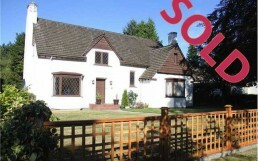 Spacious 4300 sqft Tudor style home is located on a 66′ x 132′ lot on a beautiful Queens Park boulevard street. The floor plan has large rooms throughout, excellent for entertaining, 4 beds & 2 bathsupstairs. The antique fixtures, moldings and original hardwood floors give this home a lot of character. Great, central location is close to Queen’s Park, schools, sports complex, petting zoo and transit. All measurements are approximate, buyer to verify if important.